What a relief. It has taken me a very long time to start to gently let this simple truth settle deep within me. And some days I can still forget. All my old stories can come back..”not pretty enough”, “not thin enough”. “not smart enough”, “not organised enough”, “not a good enough parent, friend or partner”, basically ‘not perfect enough’. But it is not true. We are all enough, in every way, just as we are. We don’t have to strive to prove ourselves to the outside world or to ourselves. We are precious human beings. We were born being enough..we may just need to remind ourselves when we forget. 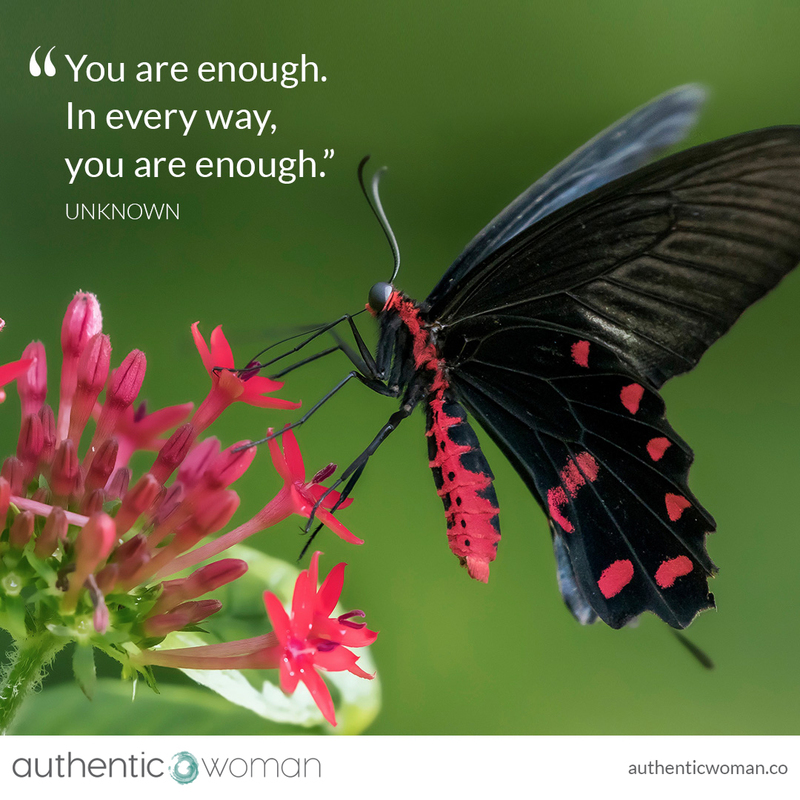 If it is hard for you to remember then I would invite you, every morning, when you look in the mirror, repeat over and over again as you look deeply into your eyes ‘You are enough, in every way, you are enough’.